The practitioner providing medication management addresses the patient’s questions, concerns, preferences, wants, and needs as they relate to medications (their beliefs and concerns play a major role in their behavior and must be understood). Patients are educated and collaborate in their care plan, following individualized goals and personalized interventions to meet their needs. Fewer adverse reactions and side effects occur and positive clinical outcomes and better health are realized. The patient gains confidence in the medications and the practitioner, which leads to increased adherence and persistence. Effective medication management provides physicians and clinicians with more time to diagnose and effectively manage patient problems and formulate treatment goals because they are reassured that the patient better understands his or her medication regimen and is taking the medications as prescribed. Physicians and clinicians frequently change or add medications, not realizing in some cases that patients are not taking the medication as prescribed. Prescribers also are frequently unaware of other prescriptions or diagnoses that involve other physicians and lack a complete picture of the patient’s situation and risk profile when prescribing new medications. With informed and educated patients and a comprehensive medication list coupled with therapeutic recommendations from a medication manager, the physician/clinician can be very effective in moving a patient toward clinical therapy goals and achieving performance outcomes. Effective medication management has been linked to lower total health care costs. Although medication costs typically rise as appropriate adherence increases, hospital and emergency room services decrease as patients reach clinical therapy goals. The substitution of less-costly medications and elimination of duplicate and unnecessary medications decrease medication costs. This service is recognized by patients as effective and positive, and quality indicators such as the Healthcare effectiveness Data and Information set (HeDIs) measures improve with the service. In addition to lower total health care costs, patients experience fewer emergency room visits and hospitalizations, so they lose fewer workdays. side effects such as drowsiness or decreased mental alertness are minimized, so productivity and quality of life improve. This is a health care benefit patients relate to personally and benefit from individually. It is a very popular benefit when it is offered to employees. Pharmacists are able to contribute measurable value directly to the care of patients. This occurs because they are using their expertise in medications to educate patients and help minimize interactions and side effects, while recommending drug therapy regimens to physicians and clinicians that move patients more quickly toward clinical goals. The health care system benefits from the pharmacist’s expertise, and medication management is the structure that enables patients and physicians to gain from it. The level of drug-related morbidity and mortality patients experience in the health care system has reached the point at which something must be done to better manage how medications are used. 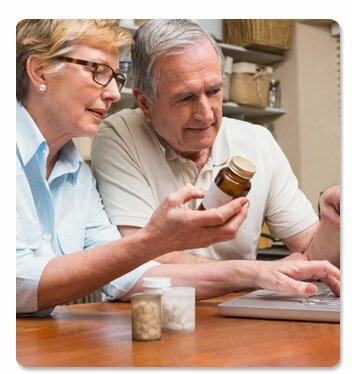 The medication management service in the medical home is a rational, comprehensive solution to the problem and benefits everyone. For the entire resource guide published by the Patient-Centered Primary Care Collaborative, visit “Integrating Comprehensive Medication Management to Optimize Patient Outcomes”.